We acknowledge and pay respect to the traditional owners of the land on which we meet (the Gadigal people of the Eora Nation). It is upon their ancestral lands that the University of Sydney is built. As we share our own knowledge, teaching, learning, and research practices within this University may we also pay respect to the knowledge embedded forever within the Aboriginal Custodianship of Country. This is the overview page of the site below. Use menu on left to discover representations of units of work that have been developed by teachers, with student work samples, excellent assessment tasks and make sure you map these to the 'new curriculum'. Many of these units of work are mapped to the Quality Teaching Framework, so are good examples of what good teaching looks like. This report will tell you why and how you should work with your local Aboriginal Community. A document from New South Wales Board of Studies. Includes illustration of practice - scroll down for link. No longer on their website so access from this guide: a detailed 83-page teaching and learning kit about Aboriginal and Torres Strait Islander people and film (mostly moving image) in Australia. It has ten main sections containing discussion & activities with some sections listing extensive relevant online resources. This freely available teaching Guide accompanies the Macquarie PEN Anthology of Australian Literature. It comprises ten units framed around concepts that focus on a range of themes, ideas and issues, for lower, middle and upper secondary English students. It is supplemented by a range of film clips and other resources. At the National Museum of Australia's website access Encounters teaching resources based on the Museums collection: including primary sources; curriculum links, classroom activities and units of work. The HTA of NSW Web Links Page attempts to provide weblinks to useful sites for history teachers. GeogSpace offers quality primary and secondary geography resource materials for all teachers of geography, including those that are very experienced and those just commencing their involvement. Be confident with your terminology, this guide clarifies appropriate language and the naming of Aboriginal and Torres Strait Islander peoples, cultures , societies and histories. This database and teaching resource is part of Austlit: Australian Literature Gateway. BlackWords is an invaluable resource for the English classroom and supports the incorporation of Aboriginal and Torres Strait Islander perspectives across the curriculum particularly within the Humanities, Social Sciences and within Educational contexts. BlackWords also includes BlackWords Trails and Teaching Resources. 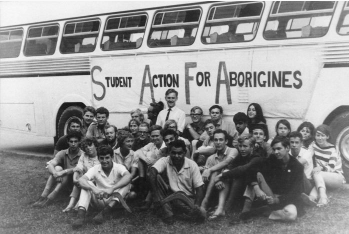 This online exhibition is a tribute to the thousands upon thousands of voluntary campaigners who worked tirelessly for a decade, educating a nation, towards a referendum Australia had to have, which was held on 27 May 1967. This exhibition showcases a selection of electoral education, information and promotional materials held in the AIATSIS Collection. Freely available, Reading Australia was created by the not-for-profit Copyright Agency with the goal of making it easier for teachers, through their passion and skills, to spread a love for Australian texts. There is a Teacher's Corner on the website; also many of the secondary-level titles are also accompanied by essays written by eminent authors, academics and critics. There are teacher guides for primary texts. In the Video section you will find interviews with and speeches made by authors. Twenty titles have had AustLit trails created for them. Anita Heiss - author, poet, satirist and commentator - explains why she writes, and why she is writing Indigenous culture into our literary landscape. From the Aboriginal and Torres Strait Islander Social Justice Commissioner. The following sites offer teaching resources, lesson plans & videos. Publisher websites increasingly provide additional resources for many of their publications. Magabala provide Teacher's notes for many of their recent books, a new book may sometimes be accompanied a soundcloud interview with an author. Video clips of events such as this one from One Day Hill publishers that relate to the story told in the book 'From little things big things grow'. Canberra based Australian publisher with a focus on Indigenous history, art and culture. ATSIMA is an Indigenous led, non-profit, member-based group representing organisations, communities, institutes and individuals around Australia. We aim to inspire, promote and support improved mathematics outcomes of Aboriginal and Torres Strait Islander students. Our dreamings enter the ancient traditional world of the Warlpiri people. by Chrysails Productions Pty. Ltd.
A few ideas of maths activities incorporating indigenous knowledge and content. Includes ideas for both primary and secondary. This Library guide assists students and researchers with finding appropriate resources for teaching practice and research; and with embedding Aboriginal and Torres Strait Islander perspectives across the curriculum. Locate material using both Library catalogues and other research resources. The Wingara Mura Research Library also includes many children's books which represent historical changes in the writing and illustration of books about Aboriginal and Torres Strait Islander People. Use the University of Sydney Library Search to find items in the Wingara Mura Research Library's collection. The Fisher Curriculum collection has a vast collection of children's print books. The library also has eBooks, one example is Remembering Lionsville: My family story Recent ebooks from the publisher Magabala Books are also available. Local council libraries will have picture book collections, YA fiction collections and children's non fiction collections. State Libraries frequently include collections and digital collections that relate to Aboriginal and Torres Strait islander communities within their states. Resources are also created for teachers and teaching. State Library of Western Australia Guide to Indigenous Information. National Library of Australia. Where can I find information about Indigenous Australians? Freedom Ride/ University of Sydney. Here, largely in his own words, is the incredible story of Edward Koiki Mabo. William Cooper, one of the most important Aboriginal leaders in Australia's history. 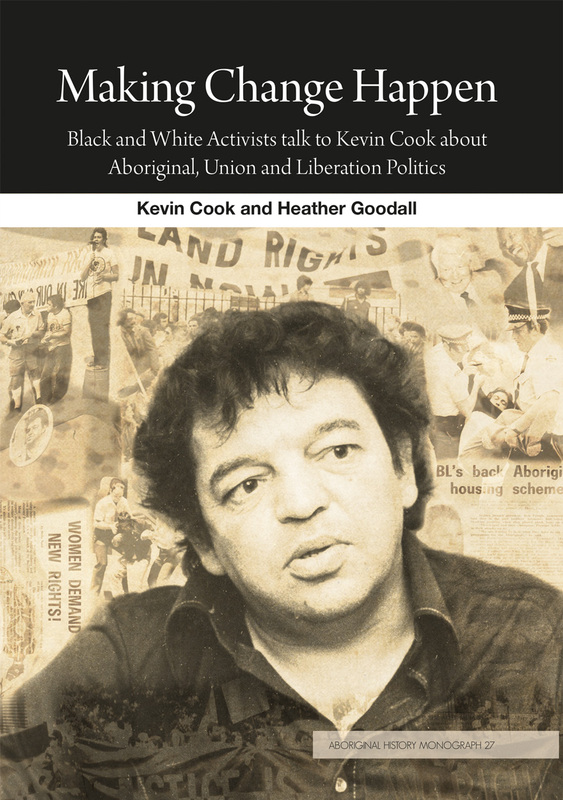 "Thinking Black" tells the story of Cooper and the Australian Aborigines' League, and their campaign for Aboriginal people's rights. his call for a 'Day of Mourning' in 1938, the walk-off from Cummeragunja in 1939 and his opposition to an Aboriginal regiment in 1939. 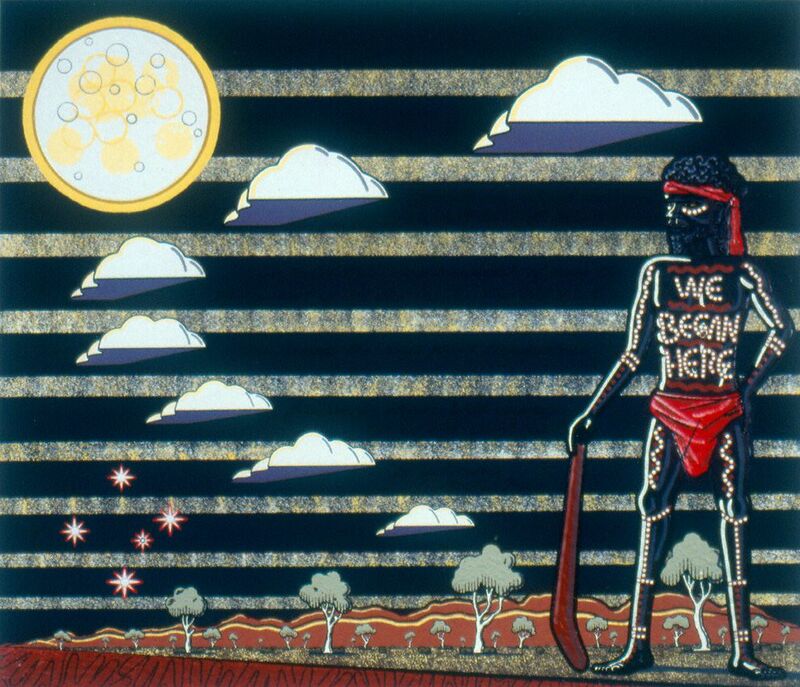 1970 to the Bicentennial in 1988 saw the emergence of a new landscape in Australian Indigenous politics. The thrilling story of the great warrior, Jandamarra, who turned from police assistant to resistance fighter. A free web resource, use this to look up notable Aboriginal Australians using this resource. A free web resource, use this to look up notable Aboriginal women. Australian Government site: Includes film clip, transcripts and study guide for a range of Aboriginal activists including Faith Bandler, Neville Bonner, Rosalie Kunoth Monks, Ruby Langford, Lowitja O'Donoghue, and Charles Perkins. Includes study guides for teaching. This video is freely avaialable on the ANTAR website. Held in Fisher on DVD and on Kanopy Streaming platform. Ripples From Wave Hill is the story of Australia's first successful land rights campaign featuring Vincent Lingiari. Celebrating black women of Australian music! His name has become synonymous with Aboriginal and Torres Strait Islander land rights because he was a key plantiff in the Mabo case. A Yolngu man from Arnhem Land in the Northern Territory, he is a dancer, actor, musician and storyteller. Meet Aboriginal and Torres Strait Islander people from all walks of life. Then look up the names in the search box on the library homepage or the library catalogue to find books and articles about them. In 2000, the Bridge Walk for Reconciliation and similar events that took place around Australia in the weeks following were collectively the biggest demonstration of public support for a cause that has ever taken place in Australia. Their Library catalogue MURA is an invaluable resource for researching many aspects of Aboriginal and Torres Strait Islander perspectives and contexts. Look for materials in the MURA catalogue then check if the University Library has the items, if not available use the Request from icon to request items. An introduction to Australia’s rich, indigenous culture, this pocket-sized guide is an invaluable resource for learning about the 60,000-year-old history of the country. Containing everything from history and rarely seen photographs to information on traveling respectfully, the content is written by indigenous people and follows their cultural protocols and ethics. Presented in a nonchronological approach, the guide is as much a reference as it is the story of identity and continuity. Unikey Required. This is a Kanopy Streaming Video about Bush Toys. About the Murray Darling Basin, Aboriginal custodians and sustainability. Dark Emu puts forward an argument for a reconsideration of the hunter-gatherer tag for pre-colonial Aboriginal Australians.